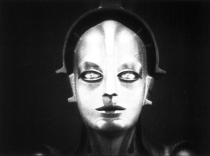 SNIPPETS from missing silent-era movies were screened as part of the first TCM Film Festival, held in Hollywood, last Sunday (April 25). 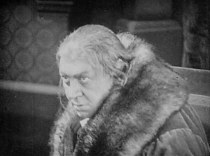 The program “Fragments (1916 – 1929)” featured a rare collection of scenes, reels and segments from lost silent films restored by the Academy Film Archive and the UCLA Film and Television Archive. Included in the line-up were tantalizing clips from Clara Bow silents Red Hair and Three Weekends, early John Ford film The Village, Colleen Moore comedy Happiness Ahead, and Roman Novarro romance A lover’s Oath. Trailers for 1928’s The Patriot, directed by Ernst Lubitsch and particularly notable for being the only best picture Oscar nominee that no longer exists as a complete or near-complete print, and Beau Sabreur, starring a young Gary Cooper, were also screened. There’s a story on “Fragments” over at The Los Angeles Times. Last week’s round-up featured a link to the only surviving clips from Out of the Unknown episode Liar!, this week’s features a link to what’s left of Satisfaction Guaranteed. 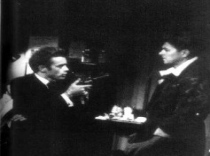 YouTube user ‘snhbuk’ has uploaded the only extant footage from the series 2 episode, broadcast 29/12/66. 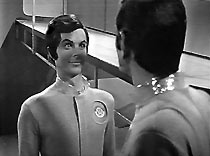 The Isaac Asimov story was adapted for the small screen by High Leonard. 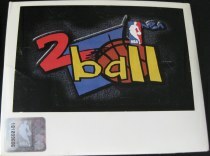 ONE OF only three copies of PlayStation 1 game NBA 2 Ball still in existence has come to light and is being auctioned on eBay. Between 500 – 1,000 copies of the PSP game were given away at the 1998 NBA All Star Game at Madison Square Garden, New York, but almost all have been lost. The third copy was bought at the time by an NBA fan for $5 from a friend, whose father had won two copies of the ultra-rare demo at the event. It is now being sold on auctioning site eBay, with a starting bid of $300. 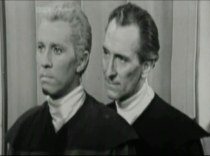 There was a minor flurry of excitement this week among Doctor Who fans after a poster on forum Gallifrey Base claimed to have footage from two missing TV adventures. 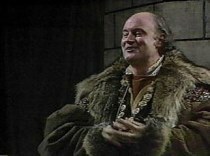 Writing on the Shada section of the forum, ‘Jethryk’ asserted that he had come into possession of 8mm home recordings of episodes of Patrick Troughton stories “The Abominable Snowmen” and “The Ice Warriors”, following the death of his grandfather. It later emerged ‘Jethryk’ was a hoaxer. The thread on OG has now been deleted. The poster claimed not to have much knowledge of Doctor Who, but at the same time knew enough to name himself after an item mentioned in Tom Baker story “The Ribos Operation”, one specifically concerned with a confidence trick. The poster said he would have access to the material shortly and would update the forum accordingly. In other words, dangling a carrot and making the gullible drool in anticipation. When the day came to prove his claim, the poster failed to provide clear evidence. He then tried to back out by further claiming the footage had gone to a private buyer – a trick to keep the flame of hope burning regardless of the current outcome. This is a cruel deception but the lesson is clear: don’t be lured in by stories of discoveries until confirmed by a member of The Doctor Who Restoration Team. The best procedure is to point the poster in the direction of the RT, who have strong links with the BBC, and then wait for things to take their course.